Both authors of the Bouchard-Taylor report are now criticizing the CAQ government's handling of its proposed ban on religious symbols for some civil servants. 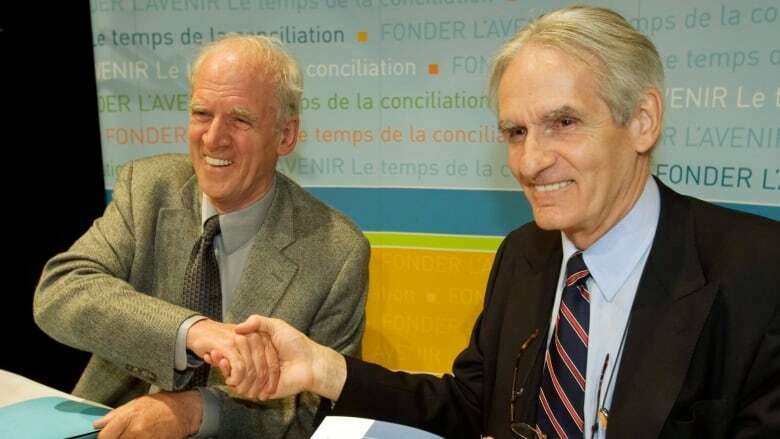 Gérard Bouchard, the eminent sociologist who co-authored the 2008 report on the reasonable accommodation of cultural minorities in Quebec, has joined Charles Taylor in criticizing the CAQ government's proposed ban on religious symbols for some civil servants. Last week, Taylor slammed the CAQ plan, calling it ignorant and dishonest. Now Bouchard is also speaking out, saying Premier François Legault's plan caught him off guard. "We are a little bit disappointed," said Bouchard. The CAQ has cited the Bouchard-Taylor report as justification for its controversial plan. In their report, Taylor and Bouchard recommended forbidding police, prosecutors and judges from wearing religious symbols. The CAQ has said it wants to go further and add teachers to that list. Bouchard said that's a big mistake. "It comes as a little bit of a surprise," he said. "The function of teachers is very, very different. We're not in the same ball game, so I disagree deeply with that." He said police officers, prosecutors and judges occupy a unique space in society and that they must appear as unbiased as possible — but that teachers fall outside of that category. The Bouchard-Taylor report recommended removing the crucifix from Quebec's National Assembly, concluding that it was a measure that would help bring the public institution in line with the priniciples of open secularism. 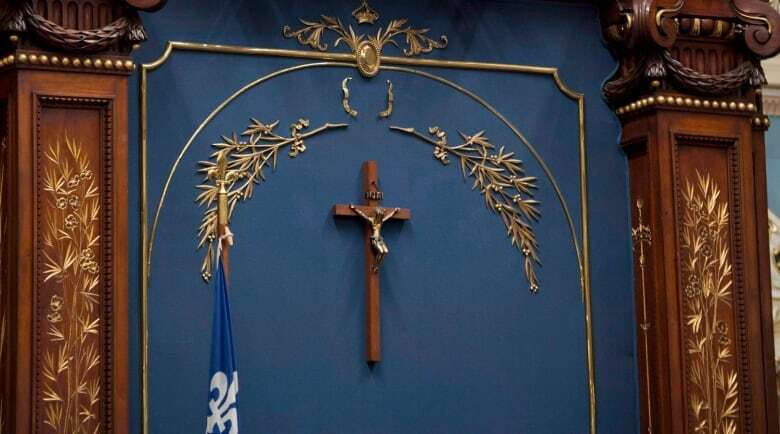 Legault has already said he plans on keeping the crucifix in its place above the Speaker's chair, saying the crucifix is not a religious symbol but part of Quebec's cultural history. Bouchard calls that a deep contradiction. 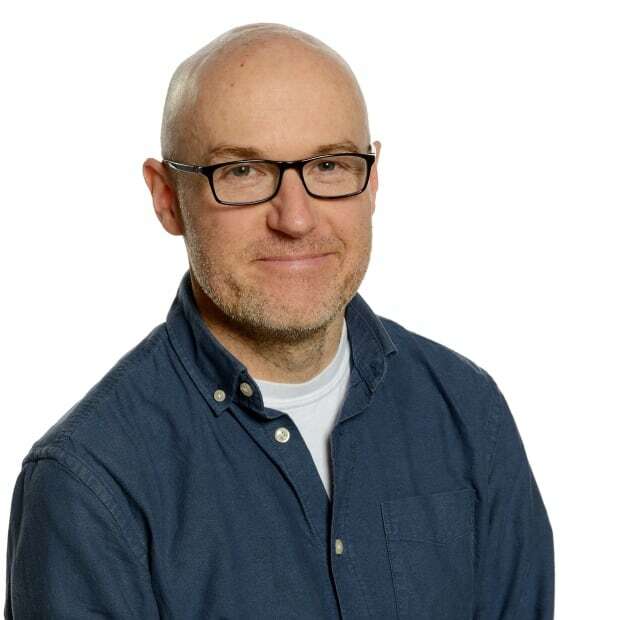 "As long as the crucifix is there, it will be very difficult and virtually impossible to get an agreement among Quebecers on a model of a secular society," he said. Earlier attempts to implement his report's recommendations have also failed, Bouchard said. He pointed to several efforts by the Charest government, the Parti Québécois's ill-fated charter of values, and, most recently, Philippe Couillard's Bill 62, passed a year ago. Its provision which bans anyone with covered faces from using public services is the subject of a continuing court challenge. "Every time a government took an initiative, it was a mess. It was a mess. It was supposed to improve the situation and finally it has worsened," he said. He said previous efforts have deepened divisions between religious minorities and those who feel the state should be entirely secular. Bouchard's advice to Legault is to slow down and take time before presenting a plan. He suggested Legault consult minority groups before repeating the same mistakes other governments have made. When asked about Bouchard's comments, Legault doubled down, saying the crucifix will remain in the National Assembly and that teachers will be part of the bill his government intends to table. "I think we have the support of the majority of Quebecers in these positions," he said. He added that a bill will be tabled "as soon as possible, most probably next spring."